Old Houses in Shanghai continued. Wendy and I wandered along the Tai An Road (map) and entered a lane numbered 120 on the road. We were quite impressed. There are more than 33 stand alone old houses in Shanghai. They were built almost one century ago and are still in good shape. The area is so quiet that I can hardly believe that it is in the downtown Shanghai. © Jian Shuo Wang. West side of one of the houses. Image in courtesy of the house owner – I didn’t got permission from the owner when I took the picture. I hope they are not incomfortable to see their beautiful house here. © Jian Shuo Wang. House picture. © Jian Shuo Wang. 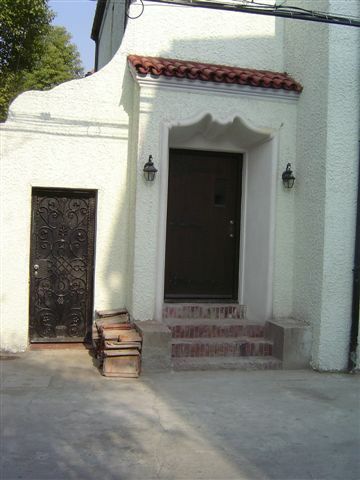 North door of the house. I believe every tourist to Shanghai should spend one hour or two in these area – it is a different life style in the same city. How did you find out that these houses were built nearly a century ago, Jian Shuo? I assume the houses are almost one century in history from the architecture style. There is a distinct line of artchitecture at the year of 1949. There is a small correction that there are 35 buildings instead of 33 as I counted. I believe that all (or most) of these houses are still state owned property. 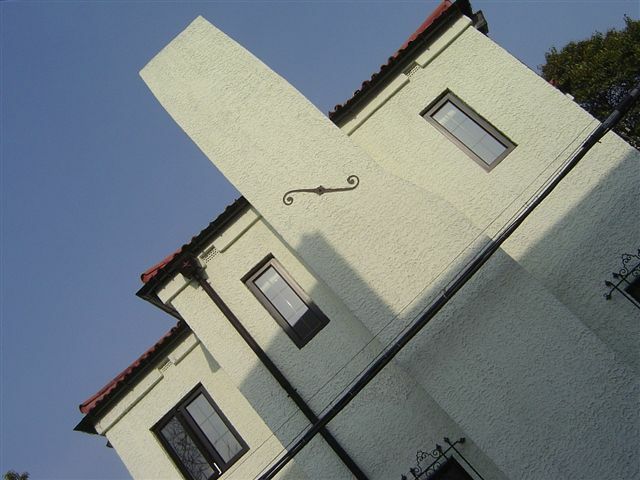 Based on the newspaper article, each two story house has about three families — not a very comfortable living condition. This actually reflects an interesting realality: There are many beautiful old houses in some very nice areas in Shanghai. But the actual condition there may not as good as it seems. Couldn’t be that harsh…..look at the 2nd picture. Nice 7-Series BMW. This might not be their only house. Lovely old-fashioned western house indeed. Recently I happened to visit Beijing and went to Hutong district because it is nearby from Forbidden City. Hutong was very nice and I could feel atmosphere of acient Beijing city. Is there similar district in Shanghai? When I go to Shanghai next time, I wish to visit such an area. All of these houses on Tai an Road are in very poor condition. So many family lived under one roof. Since they have lived there for so long .. people die one after another … and there are ghost stories about the area … I heard there were some bad spiritual things and it’s causing bad luck for many members lived there … that’s why few houses now is on the market .. wish good luck for those are buying it .. Thanks to Jian-Shuo and Wendy who are so keen and enthusiastic in find and bringing us those beautiful old house pics — appreciate that!!! The above photos show Lane-120 TaiAn Road (also known as “WeiLe Garden”), one of famous compounds of Shanghai old garden houses, where the residence of master musician He-LuTing is located. 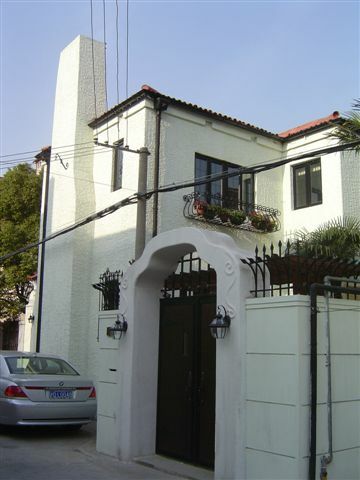 Next to it is lane-115, where the residence of other celebrity in town, namely Zhou GuCheng, is in. Also not much revealed to the public is that Mdm. He-zizhen, the ex-wife of Mao-ZeDong used to live in block 10 of the lane-120 during 1950 to 1954 (Mdm. He moved to Hunan Villa on Hunan Road late on when she was identified as psychosis).